Back in August, I asked Sarah to marry me, and she said yes! It took a little while to get the proper engagement ring sorted. I proposed with a stand-in, because I had a heirloom diamond that I wanted to offer Sarah for the ring. 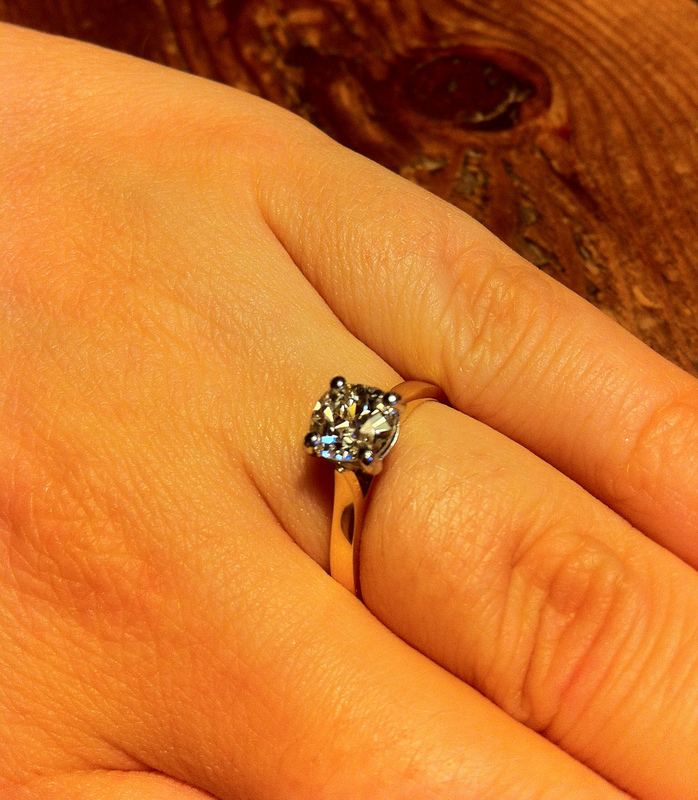 Happily she loved the idea, and so we had a ring made around the diamond.